Compudynamics offers home users and businesses Computer Training -Microsoft Training. We offer Computer training – Microsoft training courses for Beginners, Intermediate and Advanced users. 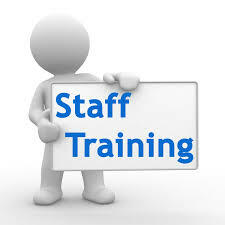 Our training service are done at our training facilities, but also offer to provide training at your premises. Onsite Training. We also tailor design training solutions to suit your individual or business requirements. We advise users that are not familiar with the basic navigation on the computer, and also not familiar with folder structures that attend the Computer Literacy course as this will give a basic foundation to move onto other courses. The training courses provided are aimed at home users wanting to make use of the benefits available on the software, as well as businesses wanting to equip their teams to make full use of the software features. From users wanting to do letters and documents using Microsoft Word, to users wanting to do spreadsheets with calculations using Microsoft Excel and presentations using Microsoft PowerPoint. Microsoft Outlook offers users better time management and communication. Microsoft Access is a powerful database software program allowing custom database creation with manipulation and search for information. Users attending this course will benefit from the full potential Microsoft Access offers. In General all training courses will benefit users and businesses to get the most out of their software investment, and improve productivity by completing the task more efficiently. For more information please contact us on info@compudynamics.co.za or 011 452 0022 / 4090 , 087 150 4612. Refer to our contact page for more details and location visit or Contact Computer Training-Microsoft Training page.